Museums, zoos, botanical gardens, and other outdoor exhibits (collectively, “museums” in this article) each represent opportunities for informal learning. While experiences in these settings have unique characteristics, there are also parallels to that other type of informal learning— learning in the workplace. We can learn quite a bit about this type of informal learning from what works and doesn’t work in museums. In museums, learning objects (e.g., exhibits, displays) are necessarily separated from their original context though museum curators/designers may try to place them in as close to a real-world setting as possible. The distance between the object and its context necessarily influences the learners’ experience. If there’s too much space, the learner feels detached; however, some space can actually be a good thing. If we confront learners with a completely realistic experience, they may be without scaffolds to make sense of it and without the sense of safety they might have obtained by approaching the experience gradually. Additionally, completely realistic contexts don’t afford learners the ability to look inside the “guts” of some things, to freeze time, or to bring in observers and commentators who can add their own narrative to the narrative inherent n the object. “The interpretation and subsequent experience of an object may be more real than the object itself” (Bain & Ellenbogen, 2002, p. 156). The lesson for informal learning in the workplace? Experiential learning is extremely important, but designing a learning experience requires more than turning the worker loose in a real-world setting and saying, “Go learn something; we’ll understand if you mess it up on your first try.” Learners need the opportunity to view the bigger picture in which the experience resides, to dissect the experience, and to obtain different perspectives on the experience if they are to move beyond a reactionary approach that merely turns into business as usual. Whether facts are pushed to learners (not advised) or pulled by learners (better), a knowledge of facts won’t automatically come with an understanding of their significance and implications ((Bain & Ellenbogen, p. 161). Similarly, mere access to real objects/real experiences won’t transform learners. Transformation occurs through inquiry, reflection, conversation, and practice, not necessarily in that order. Further, transformation occurs as learners compare new knowledge/skills to their prior experiences. Transformation is therefore often less fluid than we would like it to be. It’s not the Disneyesque transformation of seed to flower through time-lapse photography. 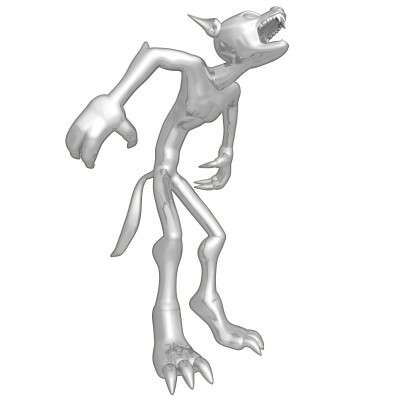 If the subject matter and required subject thinking are quite foreign, it can be more akin to a werewolf transformation, with bones breaking and organs rearranging. I’m being melodramatic here because designers often don’t pay much attention to the importance of prior experiences and the intellectual and emotional rejiggering that occurs when we create new schema as we learn. In good museum exhibits, this problem can be addressed in part by providing opportunities for learners to construct personal meaning, which can be aided through the use of technology and “electronic objects” (virtual representations of the real thing). Technology is, therefore, a useful way to allow learners to connect new experiences to related experiences. Additionally, technology allows learners to connect more immediately to the information and context that they need. It’s the reason mobile learning is so attractive; learners don’t have to shelve their questions/ideas until they can reach a location where they can do more research. Another way that museums help sense-making is by providing a safe space where learners can start as peripheral participants and then become more active participants. Museum curators/exhibit designers don’t expect visitors to become proficient immediately or even to come equipped with the right set of questions. Many museums offer safe spaces where novices and experts can interact and good museums make the thought processes around the creation of exhibits transparent to provide additional scaffolds for learners. Similarly, in informal learning environments in the workplace, technology can be a powerful way to allow learners to view problem-solving approaches and to put their own spin on these approaches. Using workplace wikis and blogs, experts can make their approaches and the questions they ask more transparent. However, the challenge remains not to assume that the learner will, or should, become an expert by wholly mimicking the processes of experts. The learner, after all, has unique and valuable prior experiences to build upon (presumably, that’s why they were hired) and their approach to problem-solving will be similarly unique and should be valued. “It is the learner’s problems and driving questions that transform the object into [new] sources, data, and evidence” (Bain and Ellenbogen, p. 166). There’s a balance between allowing learners to connect to their prior experiences and encouraging them to leave their comfort zones—that state of balance between a challenge and belief that success is possible (Csíkszentmihályi, 1990). By situating learning objects and experiences within an investigation that’s both meaningful to the learner and subject to controlled disruption, the learner moves forward. Instructional designers who consider the range of interpretations that meet a problem can craft better learning experiences. We learn from watching and listening to our learners. The process doesn’t stop when we’ve completed our design but has its own continuous flow. Bain, R. & Ellenbogen, K.M. (2002). Placing objects within disciplinary perspectives: Examples from history and science. In S.G. Paris (Ed. ), Perspectives on object-centered learning in museums (pp. 153-170). Mahwah, NJ: Lawrence Erlbaum Associates. Csíkszentmihályi, Mihály (1990). Flow: The Psychology of Optimal Experience, New York: Harper and Row, ISBN 0-06-092043-2. This entry was posted in informal learning, instructional design approaches and tagged Csíkszentmihályi and flow, experiential learning, flow in learning, informal learning, inquiry-based learning, instructional design, learning blogs and wikis, mobile learning, museum learning, novice and expert learning, prior experiences and learning, situated learning, workplace learning. Bookmark the permalink.